Justin Webber is an honest man. He want´s Karma to pay murderers a visit. His wish is granted, when an old minature trunk is unearthed in a graveyard. Murderers are no longer safe. Justin Webber an American national, now living in Göteborg and working as a grave digger, discovers a machine that dispenses justice! His parents were murdered when he was 15 years old, and moved to Sweden not long after. The machine turns out to be one of the most powerful things ever discovered! Trying to keep it a secret starts to become a problem when murderers are found murdered! A full scale polis investigation follows as more bodies turn up. The jouney takes Justin to different places and eventually leads him back to the United States to try and solve his parents murder. If i was to discribe what category this book should fit into, it would be as follows. --- Detective. Little romance. Science fiction( 30 - 40% ) A medium amount of horror due to the graphic discriptions of the murders. Thriller! With a small amount of secret agency thrown in. 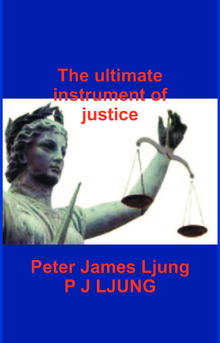 Peter James Ljung now living in Borås Sweden. Coming from Scotland UK, Peter married a Swedish woman and after moving to Spain and then back to Sweden, finally settling down to do something he had never done before! Writing Books!! Since April 2015, he has published 2 novels, and is in the process of writing his third. ( John Doe!! The hands that could heal the world! ) 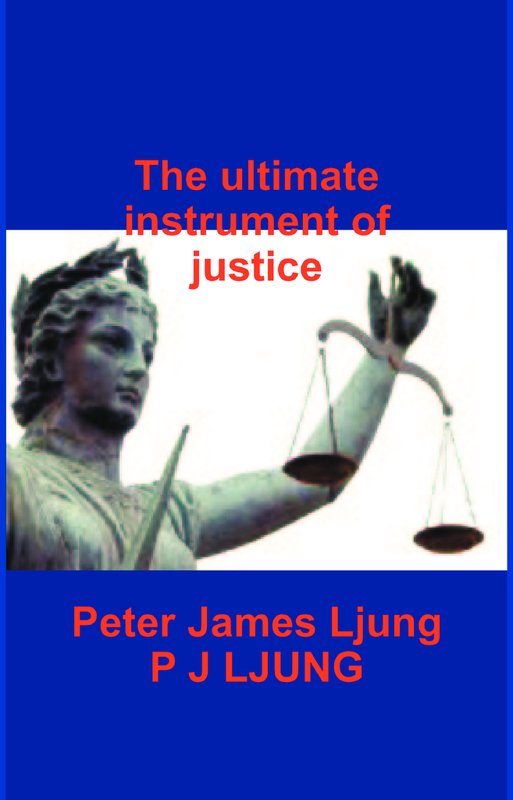 This book will be a continuation from " The Ultimate Instrument Of Justice " and should be ready for publication April/May 2016.